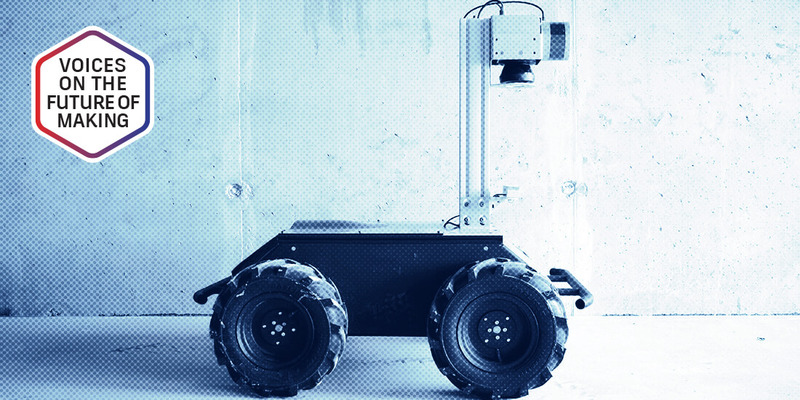 One of Scaled Robotics' construction robots. Courtesy Scaled Robotics. In this Q&A series, Redshift speaks with leaders, innovators, entrepreneurs, and disrupters who embody the future of making in construction, manufacturing, architecture, and infrastructure. 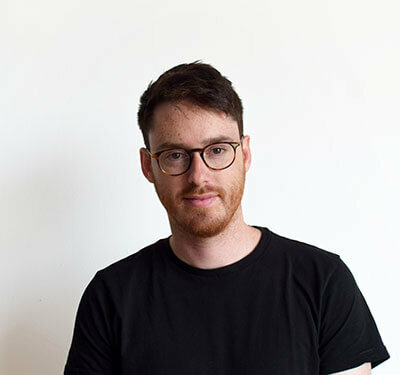 This “Voices on the Future of Making” features Stuart Maggs, CEO of Scaled Robotics. His robotic-construction company is automating construction sites by outfitting them with mobile 3D-printing robots, with the ultimate goal of reducing waste and inefficiency in an industry ripe for innovation. Here, the CEO shares his thoughts on the state of construction and robotics, how technology is affecting his work, and why he’s excited about the future. How will technology and innovation drive the future of making in construction and robotics? Technology is pretty much critical to the future of construction. We’ve reached a point where the tools and the processes that we have developed over the last, say, 100 or 1,000 years, actually, are just not filling the needs that we have today. Things have to get done faster—to a far higher quality than we have ever done before—and we just don’t have the tools and technology to be able to do that. If you want to build better, more efficient buildings that keep up with what this generation, or this 21st century, is demanding from construction, you need to build new tools and manufacturing processes to keep up with that. Stuart Maggs. Courtesy Scaled Robotics. Why are manufacturing processes key to that evolution? My background is in architecture, so as an architect, you are completely constrained by the tools that you have at your disposal—you almost think in the tools that you have. So you design buildings that are square because you have molds, and you have scaffolding that is square, so your buildings are square. The aesthetic is really defined by the tools, so your imagination is really limited. If you develop new tools, then it means that you can imagine new processes, new things, new designs, and you can push the whole industry forward. It’s like trying to manufacture an iPhone X but with technology from the 1950s. It’s just not possible, and we’re doing the same thing in construction. We’re trying to build buildings of the future with technology from at least 100 years ago—which is quite terrifying, actually. Which technology or innovation has had the greatest impact on construction and robotics? In terms of construction itself, BIM has really had a massive impact, because you now have data-rich environments that you can actually start pulling insight from. You have a platform for people to collaborate and start putting together the tool kit, or the component parts, to really start moving forward. So to me, BIM is incredible. It’s not utilized nowhere near enough, but this is the foundation of what we’re going to need moving forward. In terms of robotics, the stuff that’s really opened up the possibility for a company like Scaled Robotics is autonomous driving. Huge amounts of money has gone into autonomous driving, and we’re reaping the benefits of that in terms of low-cost sensors, the algorithms, the software, the expertise on the market that you can pick off. The raw technology that came from the developments in autonomous driving and computer vision now are directly applicable to construction. You just need to adapt it to construction, instead of having to build the whole thing from scratch. How will technology affect the future of work in construction? There’s going to be a change of skill set, for sure. As these new technologies come in, there’s going to be new opportunities, and it’s going to be about who starts to actually grab these opportunities and push it forward. You’re going to see more of a data-driven approach to construction, hopefully, and people are going to be more mindful of that. I still think there’s a lot of room for the traditional skill sets that you have in the construction industry, at least for a while. I think it’s more interesting to look at what humans are good at and what robots are good at and put the two things together. That’s the core of how I think things are going to develop; it’s not going to be one or the other. What type of jobs do you think will be created that don’t exist today? Robot operator! [Laughs.] Every time we to go to a construction site and demo a robot, we generally try not to operate it ourselves. The last time we were in The Netherlands, there was this intern new in construction, and, literally, her first job in construction, at the age of 19, was driving a robot around a construction site to gather data, which was then compared with the BIM model and gave her insight. How has industry convergence affected Scaled Robotics—or has it simply made it possible? I don’t think this company would have been possible maybe five years ago, in the way that it is now. The industry has problems, which are way more painful now than they’ve ever been before. You have a really big skill shortage. You have a labor shortage. You have companies operating on 2 percent or 3 percent margins. You have an industry that recognizes that it needs to change. There’s no consensus about what the magic tool kit is, so you have a set of companies that are willing to listen to you in a way that they weren’t five years ago. Then, on the technological side, you have BIM, which is really being pushed. In terms of legislation in the UK, it’s mandatory. The framework that they’ve put together in The Netherlands really pushes you towards digitally constructing buildings. So that creates the scene to be able to then start implementing the next step of technologies, which is robotics. You’re even starting to see a lot of companies talking about physically constructing buildings with robots, which you never would have seen five years ago, because you never had the technology to even start attempting something like this. What do you envision for the future of construction and robotics in 25, 50, or 100 years? I definitely wouldn’t pretend to know what robotics and construction are going to be like in 100 years, but if I’m feeling particularly optimistic, I would like to think that we won’t just take existing manufacturing technologies and try to automate them. The really exciting thing is about what robots can do that human beings can’t do and creating new manufacturing technologies which open up possibilities for designers, architects, and engineers to produce things that are just not possible now or even 100 years in the past. It’s got to go in that direction. What makes you the most excited about the future of construction and robotics? 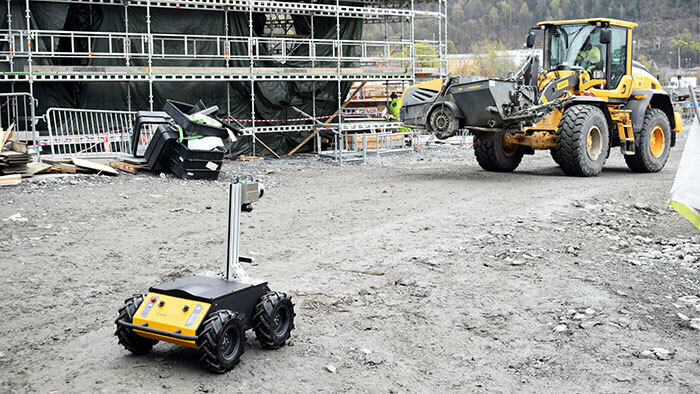 It’s really exciting to see robots on construction sites right now, delivering real value to real construction sites, to real customers, to real users. I’m really excited because there is a mobile robot sitting in the next room. It’s going to go on a construction site and work autonomously. That’s happening today. That’s not a pipe dream. I think that’s pretty awesome.